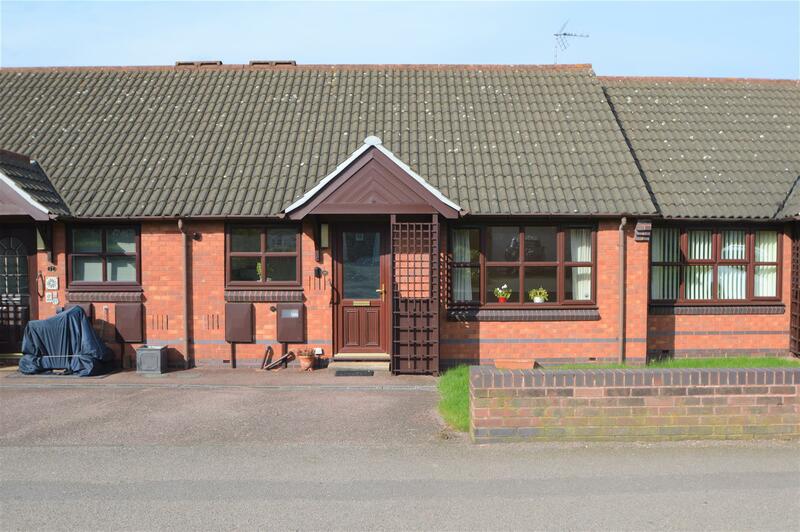 This well appointed two bedroom bungalow is located on the Windmill Court development in the beautiful Nottinghamshire village of Keyworth. The property is just a short walk from the centre of the village and associated amenities including shops, public houses and health centre and just a short drive to the main arterial routes of the A52 and A46 offering great access links. With gas central heating and double glazing throughout the property consists of the following accommodation. Enter the property into the spacious entrance hall that is ideal for storing coats and shoes and has an adjoining storage/airing cupboard. Leading from the entrance hall is a large lounge with window overlooking the front aspect of the property. 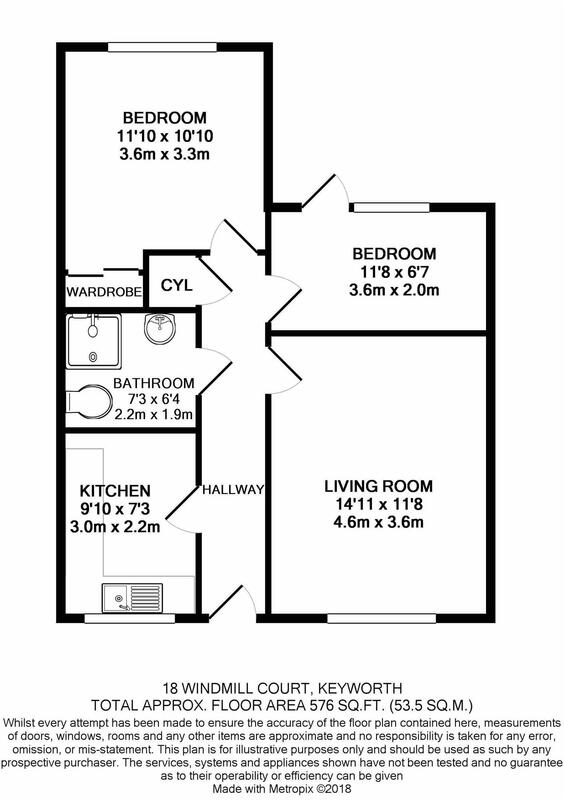 Two bedrooms leading from the hallway, the master of which has integral wardrobes, door from bedroom two leading out over the communal garden area to the rear. Additionally there is a kitchen and a bathroom with shower cubicle, low level WC and pedestal washbasin. The kitchen consists of floor standing and wall mounted units with worktops with inset stainless steel sink with feeder tap, stand alone electric cooker with hob and plumbing for a washing machine. To the exterior the property has vehicle access and off road parking to the front and communal and fully maintained gardens to the rear. The vendor advises that the lease is 999 year lease with effect from September 1987 and the ground rent is peppercorn with a service charge payable of 2018/19 to be confirmed. Enter the property into the spacious entrance hall that is ideal for storing coats and shoes and has an adjoining storage/airing cupboard, loft hatch, radiator & carpet. Having a range of wall and base units, contrasting work surfaces, stainless steel sink unit with mixer tap, plumbing for washing machine, space for fridge freezer, partly tiled walls, gas fired boiler, radiator, wood grain UPVC double glazed window with front aspect views. UPVC double glazed window to the front aspect, two ceiling pendant light fittings, phone point and Lifeline system, radiator & carpet. UPVC double glazed window to the rear aspect, ceiling pendant light fitting, sliding fitted wardrobe, radiator & carpet. Single glazed window & door to rear garden, ceiling pendant light fitting, fitted shelving, radiator & carpet. Paved patio and grassed communal area outside rear. Off road parking to the front of the bungalow.